The running costs of even the most modest backyard pool can quickly start mounting up to the point where they’re, quite frankly, a pain – a pain in the wallet. And, if you keep your wallet in your back pocket, the anatomical location of this financial pain becomes even easier to locate! And that’s why we’ve created this Guide. So, here are 25 Ways to Reduce Your Pool Running Costs. Some of them are tricks of the trade. Some of them are hard-won experience. Some are preventative. Some require a bit of planning and thinking. Others might surprise you with their simplicity. So, here’s the Guide. We hope you enjoy it. Perhaps first and foremost, it’s really important to remember that it’s a lot, lot cheaper to prevent problems such as cloudy water or algae than it is to fix those problems after they have occurred and taken hold. So test the water regularly, and adjust the chemicals as required. Prevention is cheaper than cure! The better you maintain your pool equipment, the longer it will last before you have to put your hand in your pocket and pay to replace it. This holds as true for expensive, complex pieces of equipment like you pump and filter system as it does for seemingly simple bits of equipment such as hoses (including vacuum cleaner hoses), cleaner heads, brushes etc. So don’t leave them out in the sun. Rinse them before storing. And when you store your brushes and vacuum cleaner heads, don’t store them with brush/cleaner head resting on the ground – store them with the business end pointing up. Brush your pool once a day, and skim and net the pool surface at least once a day. The act of brushing helps to free dirt and debris from, especially, the slack water areas of your pool and gets them back into regular circulation so that your filter has a chance to deal with them. Skimming the pool removes leaves and bugs before they have time to start messing with the pool’s chemical balance or introducing bacteria. Tennis balls are a cheap and surprisingly successful way to help remove surface oils created by sunscreen/suntan lotions, makeup, and body and air oils etc. The fluffy surface of the tennis ball absorbs these oils and removes them from the water. Once the tennis balls have done their job, give them a quick wash in hot water and washing-up liquid, rinse thoroughly, and allow them to dry. You can even put them in the dryer! The reason this is useful is that pool chlorine reacts with these various oils and breaks them down. Unfortunately, not only does this process deplete the chlorine (thereby requiring you to spend money topping it back up again), the side effect is that it can result in your pool water turning cloudy (thereby requiring you to spend yet more money in order to correct it). This can cut you chemical bills by as much as 50%. Why? Because you’ll use about half as much of them as you will if you put them in during the day! The reason for this is because the ultra violet light in natural sunlight degrades chlorine. So much so, in fact, that if you’re stabilizer levels are too low, an entire pool’s worth of chlorine can be destroyed by direct sunlight in just a couple of hours. Plus, as an additional benefit, by putting your chemicals into the pool at night, the chlorine is allowed more time to do its job and to neutralise the after effects of a hard day’s swimming. For one thing, if you’re now putting your chemicals in at night, you need to circulate the pool water so that they can get to work and do what they’re meant to do. Additionally, though, it’s worth remembering that electrical tariffs are much cheaper at night than they are during the day. And that’s especially true during the summer months. So, by running your pump at night, you’re paying less for the electricity. Stabilisers reduce the destructive effect of ultra violet light on chlorine. If maintained at the proper level, between 30 and 60 parts per million (ppm), stabiliser will greatly increase the natural lifespan of your pool water chlorine. How much so? By anything from 5 to 10 times! Note: Don’t overdo the stabiliser! At more than 100 ppm, stabiliser will actually inhibit and even shut down the ability of chlorine to sanitise the pool water. Ordinary household baking soda is, chemically speaking, sodium bicarbonate. As such, when it comes into contact with water, it increases the water’s alkalinity. And baking soda also costs less, especially if you buy it in wholesale quantities, than pool-specific alkalinity additives. Note: As a word of caution, however, you should only use baking soda for minor, rather than major, adjustments to the alkalinity levels of your pool. The addition of too much baking soda can have the effect of making your pool water turn cloudy. Also, you should be careful only to add it in small quantities. And make sure you spread it evenly across the surface of the pool. When leaves get into the pool, they upset the chemical balance and deplete the chlorine levels. What’s more, they can make your filter system work harder – especially if they start blocking the pool filter and skimmer baskets. So it’s a good idea to cut back branches that are overhanging the pool, and to keep leafier shrubs located clear of the immediate pool area. After all, the less that gets in, the less your filter and chemicals need to take out. As noted above, a clogged filter has to work harder in order to do its job. As a result, it uses more energy. And, of course, it is less efficient at actually filtering the water. 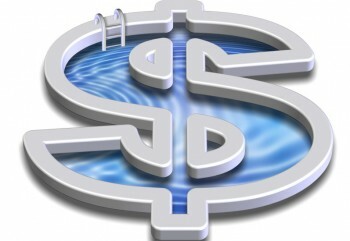 All of which only adds to the bottom line of your pool running costs. In addition to cleaning the filter regularly, you should make sure that the strainer and the skimmer baskets are unblocked and emptied frequently. This might sound obvious but pool chemicals, like pretty much everything else in life, work out much cheaper when ought in bulk. Even if the upfront outlay might be more of a one-time out of pocket expense, the per kilo cost of the chemicals is a good deal lower. And always bear in mind, unlike, say, bulk-buying milk, pool chemicals don’t go off. So what you don’t use this year can always be used next year. As already noted, during the summer months especially, electricity tariffs are higher during the day. So, to ensure that the water remains properly circulated, it is sufficient – and a lot cheaper! – to run the filter for 2 or 3 brief cycles during the day rather than for several hours at a time. Even if you keep your pool open all year round, the risk of giving algae the opportunity to blossom and take hold of your pool is considerably lower in the cooler months of the year. As a result, during these months, it’s perfectly reasonable to cut down your filter running times to around 4-6 hours a day. And, by doing this, you’ll be cutting down your electricity running costs. 14. Only Heat Your Pool When You’re Planning on Using It. If, for example, you’re generally only a weekend swimmer, and you have a heated pool, lower the thermostat on your heater or pool heat pump by a notch or two during the weekdays when you’re not using the pool. You’ll be amazed how much difference even a degree or two less heat for, say, just 4 days a week will make to your energy bills. 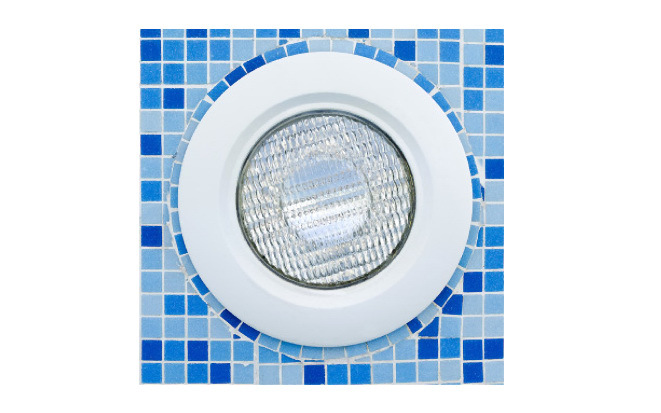 It’s easy to retrofit existing halogen or incandescent pool lights with LED. And, because LED lights are so much more energy efficient, they’ll make an enormous difference to the running costs of lighting your pool. How much? By up to 80%! 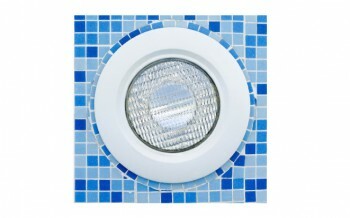 Plus, LED lights last much longer than conventional lights, so they don’t have to be replaced so often. And the light the emit produces a “warmer” glow to your pool. Variable speed pumps are anywhere from 30-50% more energy efficient than traditional pool pumps. And they’ll bring down your energy bills accordingly. A large part of the reason for this is that, because they can be set to different speeds, they allow you to reduce the pump’s power and speed during periods when your pool is in just regular use. You only need to turn it up to high speed when you’re actually cleaning your pool. In terms of energy costs, solar pumps are even cheaper to run than variable speed pumps. That’s because they are powered by free solar energy. Additionally, they require virtually nothing in the way of maintenance. They are, however, not necessarily for everyone. For one thing, they’re rather large. Not so much the pumps themselves, but for the square meterage of space that’s needed to house their solar collectors – which require at least 5-6 hours of direct sunshine a day. Also, solar pumps won’t operate in shade or at night: at these times they switch, instead, to a conventional back-up energy source. And they’re not exactly cheap to purchase, but over a 4-5 year period they will almost certainly pay for themselves through their energy cost savings. Evaporation is far and away the greatest single source of not only water loss, but also heat and chemical loss from your pool. What’s more, wind increases evaporation. So much so, that even a gentle 10km per hour breeze blowing across the surface of your pool will double the rate of evaporation. If you heat your pool with gas, and depending on whether you use natural gas or LPG, the annual costs of heating a standard 32 meters2 pool can be anywhere from around $900 to $2,000. If you’re not also using a pool cover, the costs can be as much as twice that! By contrast, the running costs of solar pool heating are around $150 per year (presuming you are also using a pool cover). If, however, you want something more like the heat on demand offered by gas (something that solar pool heating, for all its economic and environmental virtues, can’t deliver), you should still consider switching to a pool heat pump. Because of its astounding energy efficiencies, the running costs of a pool heat pump are in the region of just $500 per year (again, presuming you are using a pool cover). For more on solar heating, Click Here. For more on comparable pool heating costs, Click Here. If your pool has water features such as fountains, waterfalls, or even waterslides, it’s worth remembering that the air and turbulence they introduce into the surface pool water greatly increases the rate of evaporation from your pool. Additionally, they cool the pool water. The net effect is they increase your running costs. So, it’s a good idea only to turn these features on when you either want to use them or look at them. If you’re not using your pool (or wishing to impress friends and neighbours), you’ll save money by turning them off. Even if your pool doesn’t exactly rival the Trevi Fountain in Rome or the leaping waterworks of the Bellagio Hotel in Las Vegas, you’ll still be able save money on your running costs if you can bring yourself to adopt less boisterous swimming and splashing practices. Quite apart from the fact that splashing, bombing etc. removes water from your pool and deposits it on the pool surrounds, the more turbulent the surface of the water, the more rapid is the rate of evaporation. 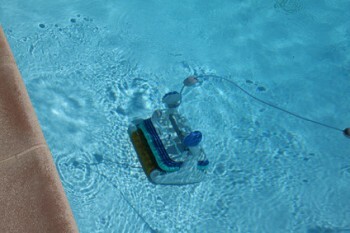 Robotic cleaners don’t just clean the pool, they filter it as well. And, since they are self-contained, you don’t need to have your filter system running at the same time. What’s more, it costs a lot less in terms of energy to run a robotic cleaner than it does to run your pool filter. Plus, they’ll clean the pool more quickly than you will. For more on robotic cleaners, Click Here. Unlike traditional sand or even DE (diatomaceous earth) filters, pool cartridge filters do not require backwashing. Therefore, cleaning your pool doesn’t mean that water is being flushed to waste out of the system. And the result is a significant reduction in your water bills. Additionally, compared to sand or DE filters, pool cartridge filters operate at much lower levels of water flow pressure. They, therefore, require less energy – which means lower energy running costs. Fair enough, you may think that closing and opening your pool is an enormous hassle. But the truth is, it’s not a big deal, and need only take 2 people about an hour or so tops. Unless, that is, you bought your backyard pool secondhand from William Randolph Hearst or Hugh Hefner. It’s really not complicated, and doing it yourself will save you several hundred dollars a year. This is, without the slightest doubt, the quickest, simplest, and most efficient way to reduce the running costs of your pool. 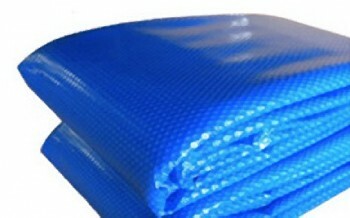 How much difference will a pool cover make? 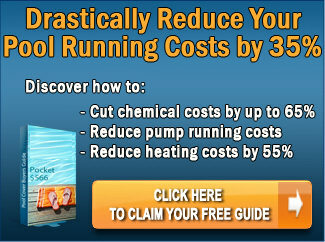 It will cut your running costs by 50% a year! Cut Water Costs – Pool covers reduce evaporation by around 97%. Without one, during the 6 hottest months of the year, an 8 x 4 metre pool will lose around 10,500 litres of water to evaporation (that’s 25% of the total pool water). That’s water you’re paying to top up. Cut Chemical Costs – it isn’t just water that evaporates, the pool chemicals go with it. Also, exposure to sunlight destroys chlorine. Cut Cleaning Costs – pool covers prevent leaves, debris, and dirt from entering the pool. And that means less cleaning, and less energy costs of running the filter and running the cleaner. What’s more, it means you’re using fewer chemicals to clean your pool. Cut Heating Costs – evaporation accounts for 70% of pool heat loss. If you heat your pool, therefore, a pool cover will dramatically cut your heating running costs. So How Much Can You Save By Following These Tips? If you follow all the chemical saving tips (Tip nos. 4, 5, 7, 8, 9, 11, 18, 20, and 21), your annual pool chemical running costs should be reduced by 60%! Given that the average annual chemical costs for an average 8 x 4 metre backyard pool are around $190 per year, this translates into a real dollar savings of around $114 per year – every year! Potential Savings: $114 per year. If you follow all the energy savings saving tips (Tip nos. 6, 9, 10, 12, 13, 14, 20, and 21), your annual energy running costs should be reduced by at least 46%! Given that the average annual energy costs for an average 8 x 4 metre backyard pool are around $650 per year, this translates into a real dollar savings of around $300 per year – every year! Potential Savings: $300 per year. If you use a pool cover (Tip no. 25), the running cost savings are immediate and across the board. In fact, they’re so great that, when the combined effects of the savings to your chemical and energy running costs are taken into account, they translate into an average real dollar savings of around $560 per year – every year. For a heated pool, that’s a real dollar savings of around $1,000 per year – every year! Potential Savings: $560 – $1,000 per year. If you follow all the water savings tips (Tips nos. 18, 20, and 21), your annual water running costs should be reduced by anything up to 60%! Given that the average annual water costs for an average 8 x 4 metre backyard pool are around $136 per year, this translates into a real dollar savings of around $82 per year – every year! Potential Savings: $82 per year. If you elect to invest in a different pump, different heater, different cleaner, or LED Lighting (Tips nos. 15, 16, 17, 19, 22, and 23) the cumulative running cost saving can easily mean that the cost of the investment will pay for itself within 1-4 years. After that, you’re saving money free and clear. And that doesn’t count the real dollar savings derived from prevention as opposed to cure (Tips nos. 1, and 3), or DIY maintenance (Tip no. 24).So if you follow all these tips, and even without spending a single dollar on new investments, you can save between $940-1500 in running costs per year.Thank you for downloading and reading this Guide. 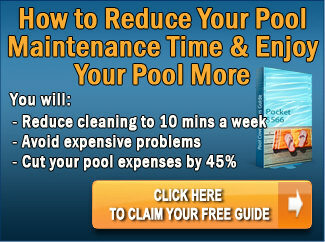 We sincerely hope that it will help you reduce your pool running costs, and help you to save money. After all, your pool should be a joy and pleasure, not a pain in your wallet; or a pain in your…well…back pocket. If we can help you in any at all, please don’t hesitate to contact us! Just wanted to let you know as a new pool owner I have found your site to be the most formative I have come across. Some of my purchasers are a direct result of running your pool cheaper. Great. Glad you’re able to put the information to use! I agree! This is an awesome website – so difficult to digest the information from our local pool shop staff – your blogs allow us to review and fine tune. Great page. I am also a new pool owner. My pool is 11×6 and it has a robotic cleaner that runs every morning. I just recently put a 600 micron pool cover. Does that mean I can switch off the vacuum that runs every morning? You’ll probably still need to run it but just not as much. You’ll still need to filter your water too. Again just not as much. My pump runs much quieter than my neighbors air conditioner, just saying. I have just placed a cover over my 6.5 x 3.5 mtr pool. How many hours can I run my pump with the cover in place? Does it make a difference or will I cause damage to the pump if the cover is in place? It’s no problem to run the pump with the pool cover on. In fact you should run it as normal to circulate the chemicals and filter the water. It was helpful to learn that cleaning the filter regularly will decrease the work load of it. My husband has been talking about wanting a pool for a while now. If we get a pool, I want it to b kept in to shape, to prolong the life and avoid costly repairs, and it seems like the filter is a big part in keeping the pool running well.